Do not take Aspirin, Ibuprofen, Niacin or Vitamin E for 24 hours before your procedure. Do not go tanning (indoor or outdoor) or have a sunburned face. Do not get a wax or tint for four days before your procedure. Avoid exercise the day of your procedure. Use absolutely NO cleansers, creams, makeup, or any other products on the treated area for 3 weeks. Avoid exposing the treated area to water for at least 7 days. Don’t scratch, rub or pick at the area, let it heal on its own. Scabbing or dry skin is normal and a part of the process, so let it heal naturally. Avoid sleeping on your face for as long as possible but specifically for at least 14 days. Do not get any other treatments on, or near, the area such as Botox, facials, chemical peels or microdermabrasion for at least one month. Avoid the sun for at least 4 weeks and if you can’t help it, always cover the treated area. Avoid working out or heavy sweating for at least two weeks. It’s important that you understand that everyone’s skin is different and so results may vary for each individual. This means that tattoos may fade sooner for certain skin types. Although Victoria has an extremely high success rate, occasionally a client’s skin type may not be compatible with the ink color. You must understand the risk you are taking. Prior the procedure, you will be given a consent form and will have plenty of time to address any questions and concerns. 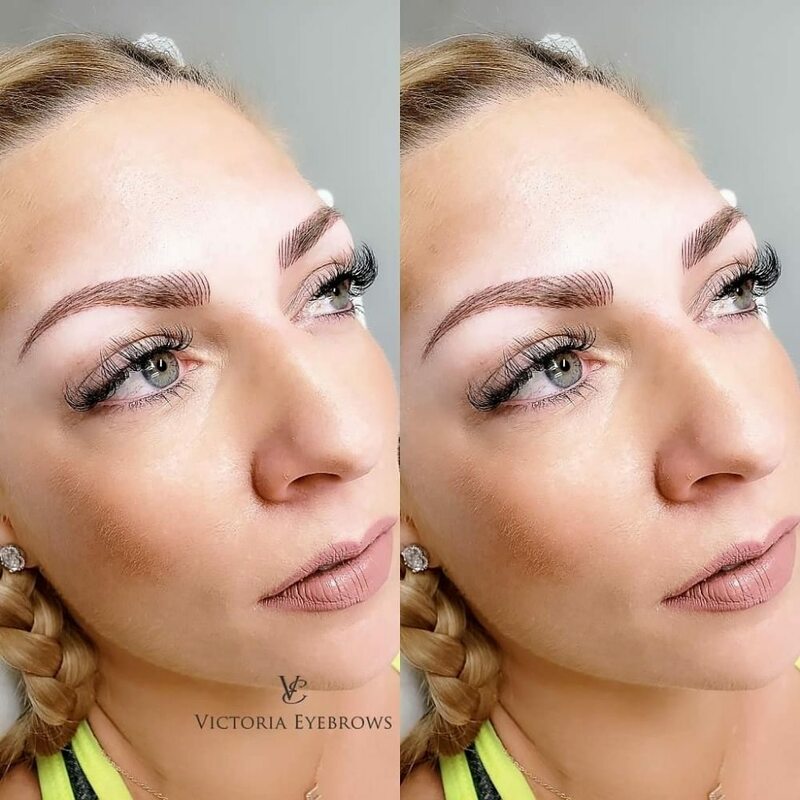 Feel free to call Victoria at any time to discuss microblading details and book your appointment. Permanent Make Up is a form of cosmetic tattooing where pigment is placed in the dermal layer of the tissue. Retention of the pigment is determined by the patient’s skin type, how well they follow after-care procedures, and their immune system. Therefore, no specific result can be 100% guaranteed. Swimming, whether at the beach or in chlorinated pools. Not taking proper care of the procedure area after treatment. Sun tanning or using tanning beds. Using Retin A creams, or any other products that contain AHA’s, Glycolic Acid, or Vitamin A. Certain skin treatments, such as microdermabrasion or chemical peels. Excessive use of alcohol or drug abuse. Certain skin conditions and/or excessively dry/oily skin types.